Austin, Texas – Appleosophy today announced Appleosophy Weekly, which will be a new take on Appleosophy Today, which breaks down the week’s Apple News in a digestible way. “We’re super excited to announce our new show Appleosophy Weekly, that will hit your favorite podcast’s store” said Holden Satterwhite, the Chief Executive Officer of Appleosophy, the first episode will launch within the next few days and we are really excited to see your feedback.  Appleosophy Weekly will be hosted by Appleosophy’s Editorial Team and Podcasts Team, who have in-depth knowledge on Apple and Apple services. Their expertise will allow for the latest Apple-news to be hosted in an understandable way. Appleosophy Weekly will also feature special guests who may have influence on the week’s subjects. Appleosophy Weekly will be available on Podcasts for iOS and other podcasting services, available soon.